Could you ever imagine that the air inside of your home is probably to contain up to 70 percent more pollution than outside? It is fact taking into consideration the level of air contamination in Los Angeles. Unfortunately, many homes lack sufficient ventilation due to tight modern house construction because of an effort to keep conditioned air indoors. This means that allergens concentrate inside of your home, affecting your indoor air quality, comfort and health throughout the year. Poor indoor ventilation can also lead to humidity fluctuation. In case of dry indoor air, your family may experience dry sinuses, nose bleeds, scratchy throats, chapped lips and increased static electricity. A dry climate can also induce expensive damage to wood-based items in your home, such as hardwood floors, furniture and musical instruments. Furthermore, too much moisture can stimulate the growth of molds that may not only wreak havoc on your respiratory health, but on the structural integrity of your home as well. We introduce various options to solve the problem of indoor air of poor quality. Ultra Violet Germicidal Lights are an efficient way to dispose of mold and bacteria, which protects your family, your home and your HVAC system. Electronic Air Purifiers can quietly remove between 90 and 98 percent of particles and bio aerosols from your air depending on the model. They are also proficient in odors and chemical vapors elimination. Replaceable Air Filters help uphold HVAC system efficiency, saving your money. Regular replacement also prevents needless system damage. Whole-Home Humidifiers and Dehumidifiers address humidity fluctuations. These are beneficial in maintaining the structural integrity of your home and maintaining wood-based items. They are also beneficial to the health and comfort of your family. Ventilation Control intend for appropriate exchange of indoor and outdoor air, with options for humidity and temperature control. These are but a few of the options available to homeowners in the fight against indoor air pollution. 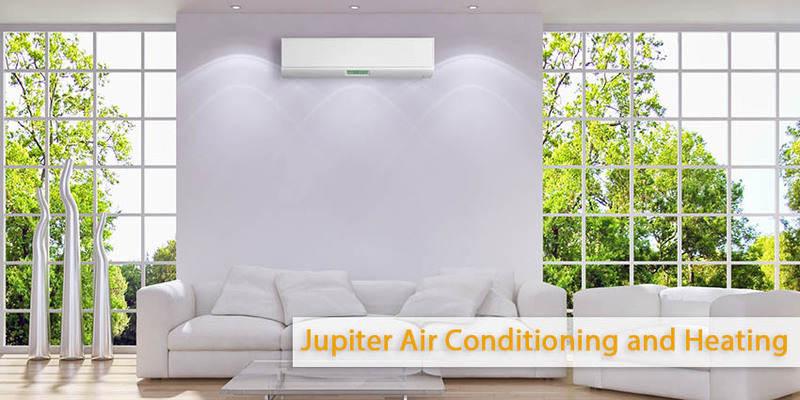 In order to receive comprehensive information on improving the indoor air quality of your home, call us today at Jupiter Air Conditioning and Heating for an expert consultation.